in every season. It is one of the most important dolmen stations and also a focus of trekkers and mountaineering trips . It is noteworthy the existence of the medieval Sanctuary of Saint Michael of Aralar (San Miguel in Excelsis) in the top of the mountains. It’s an emblematic place for Basque culture inside which the chains that – according to legend – were worn by Teodosio de Goñi as penitence for having killed his parents-in-law after being tricked by the Devil. He was freed after invoking San Miguel (St Michael) and thus defeating the dragon of Aralar. 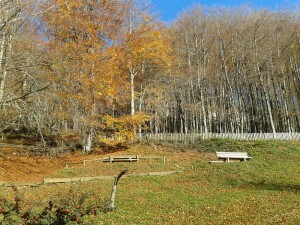 Lizarrustiko Parketxea is the Interpretation Center of the Natural Park of the “Sierra de Aralar “. 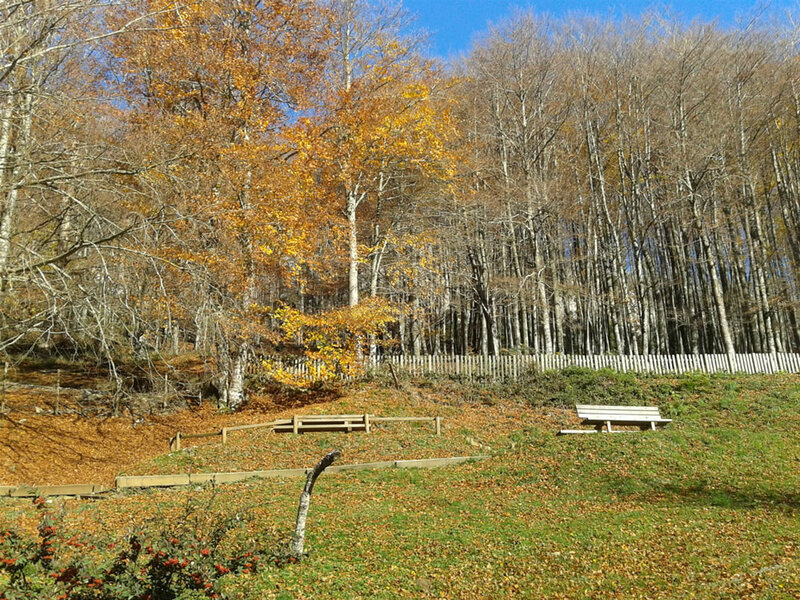 It’s 12 kilometers from Angoiko Etxea and is a good starting point to know the range.